As any of you who’ve been paying attention know, I’m going to FogCon this weekend. I’ve got a reading on Sunday afternoon, which is exciting since I enjoy doing performing monkey routines. In fact, since I’ve had such good luck with convention readings so far, meaning that despite being a tiny little baby author, career-wise, that I’ve had no tragic, empty, or disastrous readings, that I’ve decided to really push my luck with this one. I’m either going to do a story I’m fairly convinced can’t be read aloud successfully (at least not by me) or one that I’m not sure actually works. One way or another, the audience is going to get to watch me fail in what will, hopefully, be a spectacular and amusing way. Which means that I’d better have a consolation prize for them. This is where the cookies come in. Cream butter and sugar together. Throw in the peanut butter. Mmmm, buttery peanut butter. 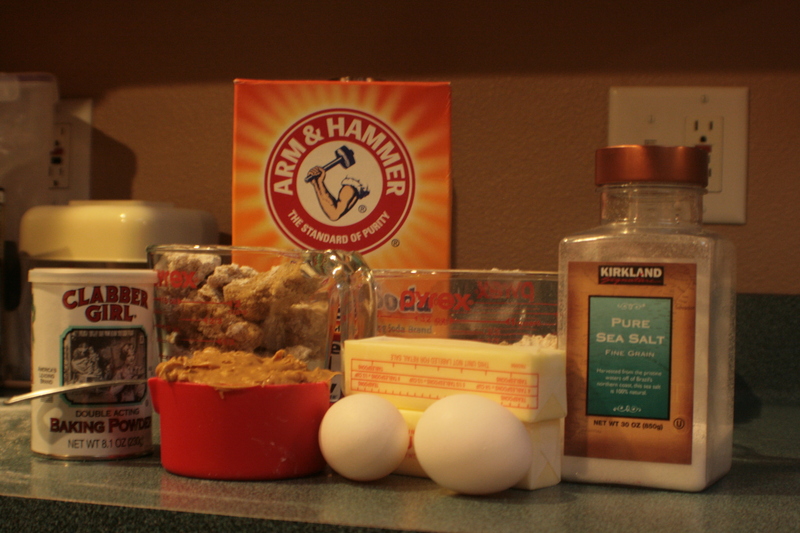 Then add the eggs and vanilla. 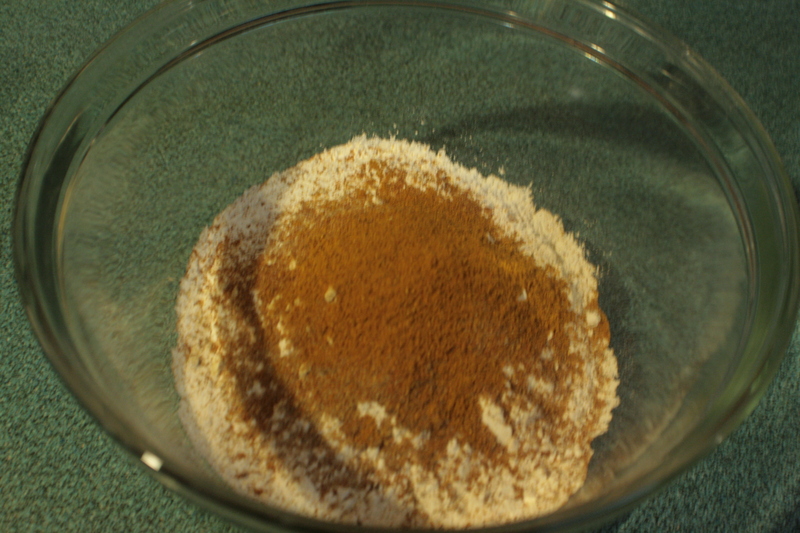 Now all the wet ingredients have been mixed together. According to the recipe, that’s pretty much it. Toss in the dry ingredients and we’re good to go. 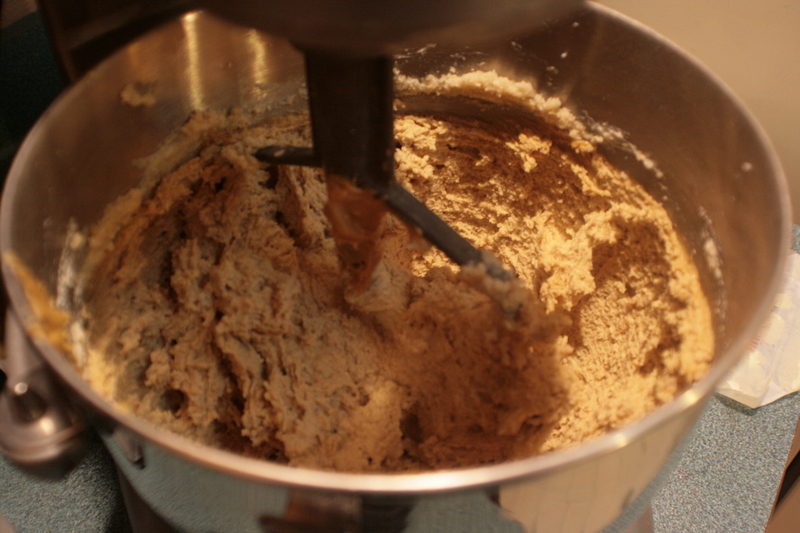 Except I’m not done with the dry ingredients. Enter: Apparently I can’t follow a recipe ever because these things totally aren’t on the ingredient list. Yeah, that’s curry powder. 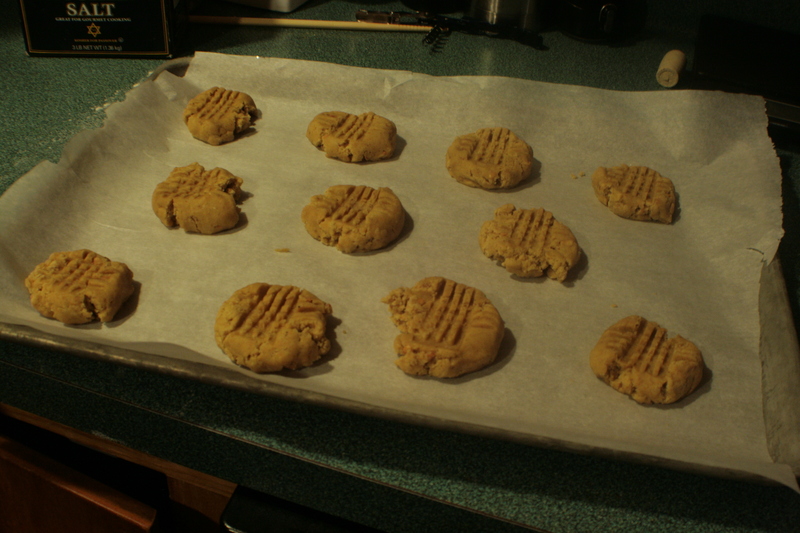 In the peanut butter cookies. Because I love my fans, that’s why. 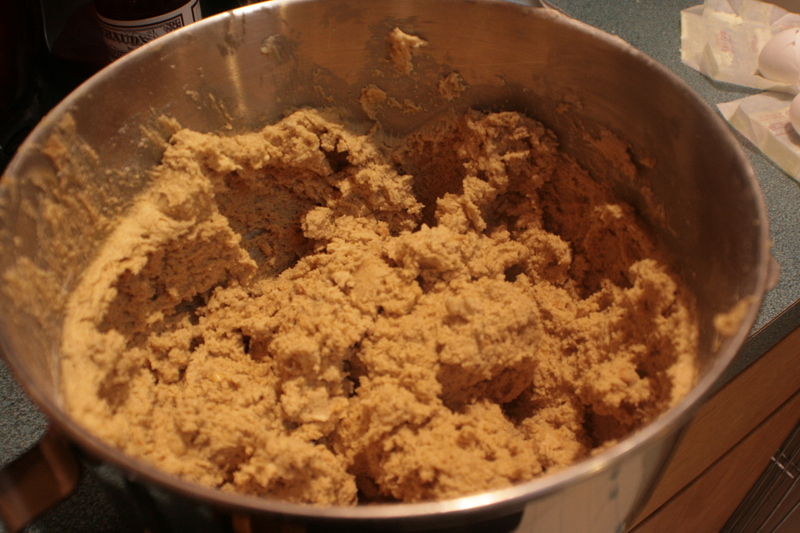 This is what the dry ingredients looked like when I was done ignoring the directions. 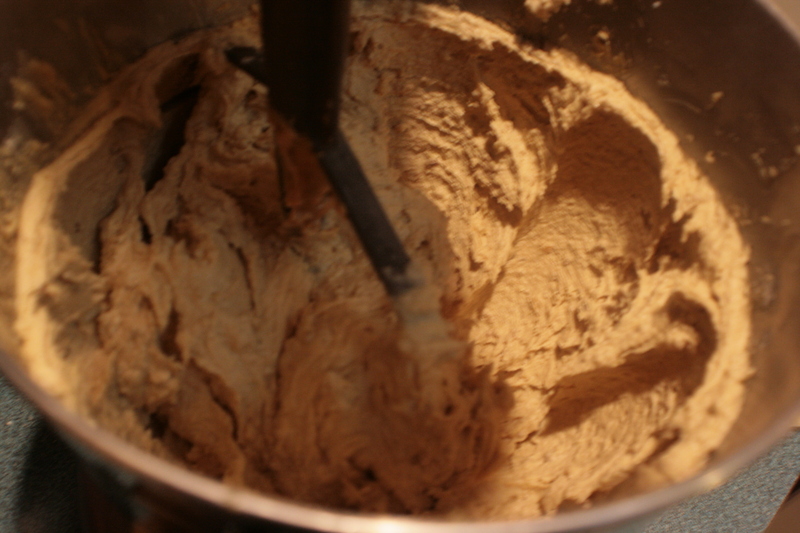 Ladies and gentlemen, we have achieved cookie dough. These look ready for the oven, yes? I’m really pleased with the way these turned out. And I have twenty-seven of them with me, so you could wind up pleased with how these turned out, too. All you have to is show up for my reading and demand the baked goods. That’s 1:30 Sunday. See you there! The base recipe I modified is from the New Best Recipe cookbook. I have a policy of not putting recipes that aren’t mine up on the blog, but citing the cookbook or website of origin instead. 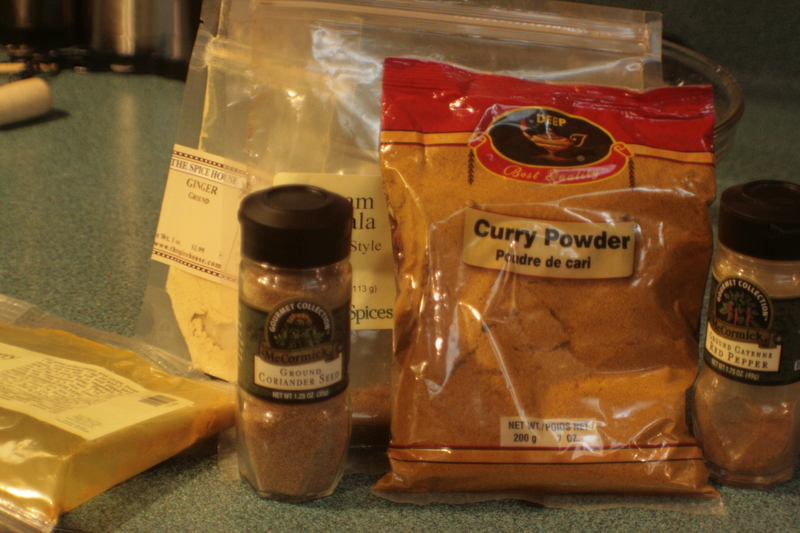 As far as the modifications I made, I just threw in basic curry spices until it smelled and tasted good. 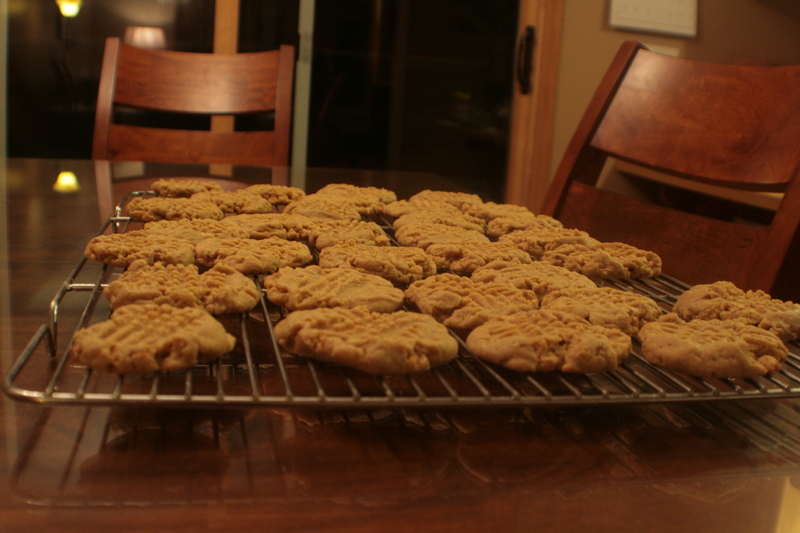 You could do the same to any basic peanut butter cookie recipe and get a similar result.